Pensive Thoughts is Giving Away Five Biogesic Gift Packs! Rainy days are here, and as we all know, this is the season when fever-related diseases, like dengue fever, leptospirosis, influenza, typhoid fever, etc., are common. It’s always a good idea to stock up on anti-fever medicines at home. When one has fever, doctors recommend taking Biogesic. Biogesic is safe and effective for all types of fever. For kids and babies, mommies can trust doctor-recommended Biogesic for Kids with Micronized Technology. With Biogesic, diretso sa lagnat, diretso galing. Biogesic Baon Pack (eight pieces) is available in Mercury Drug, Watsons and leading drugstores and supermarkets nationwide. 1. Follow me through Google Friend Connect (GFC). The GFC widget is located in my right sidebar. 2. Add Biogesic as Friend on Facebook. 3. Like the Unilab Facebook page. 4. Follow Unilab on Twitter. * What are the three things you need to do or carry during this fever season? * What is the safe and effective medicine you can trust for fever? 6. Comment on this post to let me know you’ve joined and provide the following details: your Google Friend Connect Username, your Facebook Profile, your Twitter Username and your email. That’s it! This contest is open to Philippine-based residents only. Both bloggers and non-bloggers can join. This contest will run from August 21 to August 27, 2011. Winners will be announced on September 1, 2011. This entry was posted in Biogesic, Blog Contest. Bookmark the permalink. 15 Responses to Pensive Thoughts is Giving Away Five Biogesic Gift Packs! I always make sure to bring Biogesic pack whenever we go out of town especially this season of fever. I only trust Biogesic and only chose what I think is best for my kids. Kahit sa sakit ng ulo ko, Biogesic kaagad! oh btw, already a liker of Unilab, added Biogesic in my FB account, and followed on Twitter using @mommynuts. thanks! Biogesic, safe for kids, adults and even pregnant women. That’s a big plus factor! Old Follower via GFC, followed in the new account as well. Did 1, 2,3 and 4. This fever season I do the following: (1) Bring an umbrella wherever I go since the weather in the country is very unpredictable. Rain or shine, I’ll be protected. (2) Eat more fruits and vegetables and drink lots of water so I’ll be less vulnerable to fever with the help of the healthy food’s nutrients. (3) Carry Biogesic in my bag. I’ve been using it since high school because Biogesic relieves my headache and fever in just about 30 mins. The good thing about it is I can take it even with empty stomach. BIOGESIC is definitely the safe and effective medicine I can trust forever! 1.) What are the 3 things you need to do or carry during this rainy season ? 2.) What is the safe and effective medicine you can trust for fever? I’m a biogesic user all the times when me and my family have fever .. Biogesic is the most safe medicine to take when you have fever and headache..
Q1 answer: this fever season.. i always carry biogesic for adults and kids.. thermometer and bottled water.. all i need to do is rest well , taking biogesic and drinking a lot of water and every 1 hr. checking my body temperature..
Hi, I’m joining. Please count me in! 2. 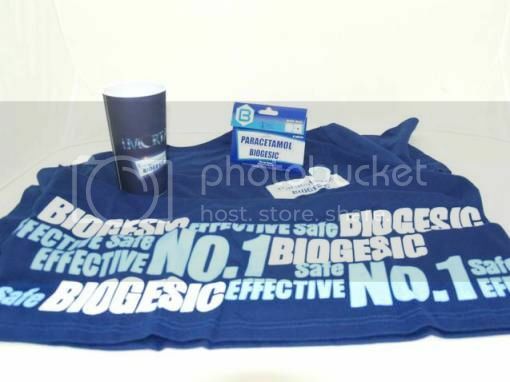 Only one brand comes to my mind – BIOGESIC! ← Mommy Moments: Filipino Ako!